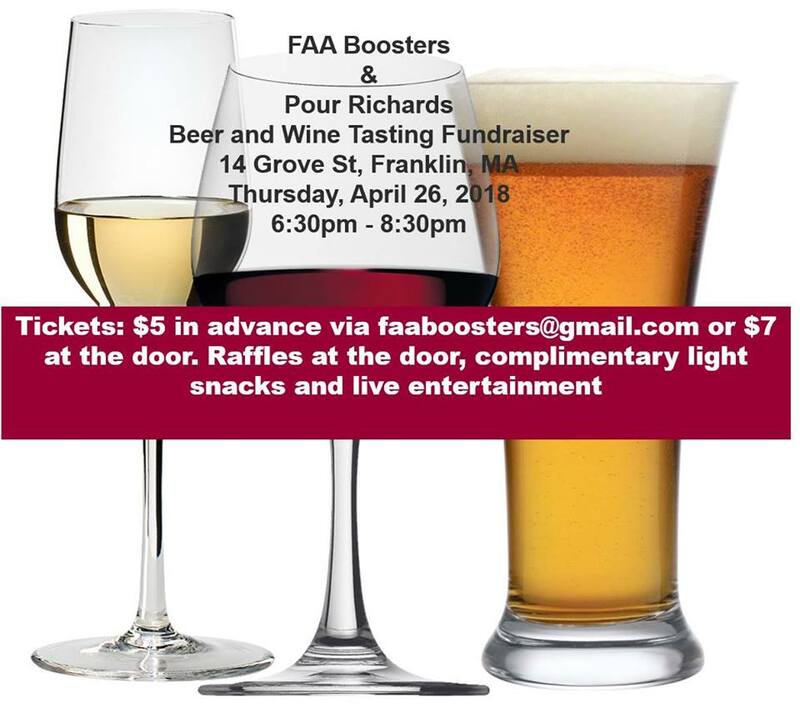 The Franklin Arts Academy (FAA) Boosters will be hosting a Beer and Wine Tasting Fundraiser with proceeds being used to fund an FAA student field trip and scholarships for FAA seniors. Raffles available at the door. Light snacks and live entertainment will be provided. 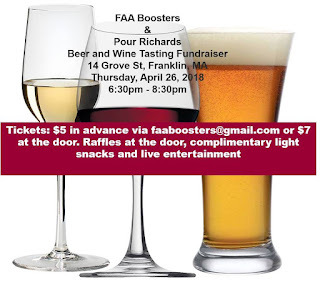 Pour Richard’s is graciously hosting the event and will also be donating a portion of sales proceeds to the FAA Boosters.